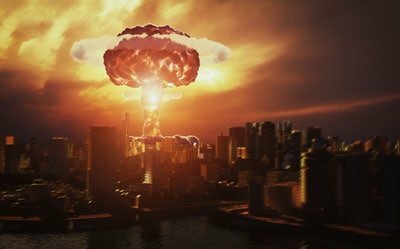 Home » Preparedness Tips » What Would Happen During An EMP Attack In The United States? Would happen if a nuclear weapon were detonated by a hostile country or terrorist organization in the upper atmosphere in the United States? There’s a very simple answer to this question: the power grid would most likely go down, either over a large area or potentially over most if not all of the United States. Stores, online banking, hospitals, social services, the internet, and restaurants would become shut down immediately. The supply trucks would stop moving. There would be no more running water. Cars would stop working and crash into one another in the highways while planes would fall from the sky. Looters and mobs would take to the streets, resulting in mass rioting and devastation across all cities. Martial law would be declared as the military and law enforcement units moved into seize control. In an instant, the world has been thrown back to the 1800s, and your city now resembles a war zone. The harrowing scenario described to you above is not meant to scare you. It’s meant to explain to you what can realistically happen as the result of an electromagnetic pulse (EMP) attack. EMP attacks have long been a subject of fascination in disaster preparation websites and works of post-apocalyptic fiction alike. Nonetheless, you would be unwise to treat the possibility of an EMP hitting the United States in the future as being fantasy. Why Would An EMP Attack Happen? There’s a very simple reason why an EMP attack could occur in the United States: if our enemies ever wanted to deal a truly devastating blow to the country, an EMP attack would be the way to do it. An EMP device could be either detonated over a specific city, such as Los Angeles or New York, it could be detonated in the center of the United States. Alternatively, multiple EMP’s could be detonated at once if our enemies truly wanted to deliver the maximum amount of damage. Back in the days of the Cold War, the main man-made disaster that everybody feared was the threat of nuclear war between the US and the USSR. But the reason why nuclear war never happened during those decades was because of the very real potential for mutually assured destruction, meaning both the US and the USSR would have obliterated the other had just one of them acted first. With an EMP, the threat of mutually assured destruction would not exist. If our enemies succeeded in detonating a nuclear device high enough into the atmosphere, not only would it result in a complete and utter catastrophe, but the United States would be unable to respond as well. In short, an EMP attack would happen if the enemies of the United States wanted to devastate the country as best as they could without turning to nuclear war. And how likely is that to happen? Honestly, no one knows. It’s not even certain if it will happen or that it won’t, even though Russia, Iran, North Korea, and China have all invested in EMP technology (not counting any big terrorist organizations that could have access to the technology as well). What is certain, however, is that if it does happen it will be one of the very worst disasters that could ever happen to the country. And that’s what we’re going to talk about next. What Would The Effects of an EMP Be? 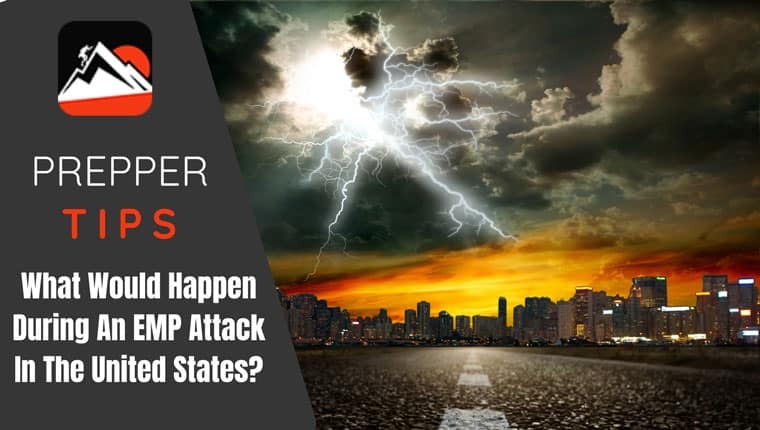 The threat of an EMP attack upon America has technically existed for as long as nuclear weapons have existed, but at least since the late 1990s and early 2000s EMP’s in particular have been viewed as a major threat by the United States government. We’ve already covered what an EMP attack would look like in the introduction, so there’s no need to go back into what it would look like to you now. What we can go into now, however, is what the cost of such an attack would be to the United States. Many experts conclude that it would take up to a full decade, if not longer, to bring the power grid full back up online, assuming that the attack were to affect the whole country. During that time, it would cost the United States several trillion dollars a year in repair costs, and it’s also widely estimated that up to 90% of the American population could die in that decade from murder, starvation, dehydration, disease, and suicide, with the majority being killed in the opening months. Let that sink in for a moment. What’s even more alarming is how underprepared the United States is for an EMP attack. In its same 2004 Report, the EMP Commission recommended a massive overhaul of American interdependent infrastructure in order to become more prepared for an EMP attack. And do you want to know what’s happened in the years since then? Absolutely nothing. The simple fact of the matter is that American infrastructure is incredibly vulnerable and unprotected to an EMP. While Congress has attempted to pass legislation to beef up the defenses of America’s infrastructure, if an EMP were to be detonated high in the North American atmosphere today. What Can You Do To Prepare For An EMP Attack? 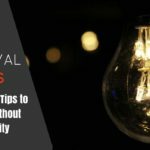 While you may understandably feel helpless in the face of an EMP attack, the truth is there is much you can do to prepare for one. First and foremost, you need to build up a healthy stockpile of supplies, including food, water, and medicine to name a few things. There are bulk packs of survival foods that you can buy online (including a one or more year’s supply), and you can collect water in several fifty-five gallon drums. Security will also be of paramount importance to you. 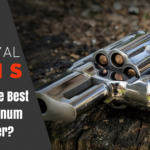 Don’t cut corners; invest in one of the best survival rifles that money can buy, so that you’re prepared for self-defense and hunting when SHTF. And stock up on at least a thousand rounds of ammunition per caliber (if not more) would be a wise maneuver to you. (I’d up that to 10,000 or more personally, but I’m a bit paranoid). That being said, no matter how many supplies you stockpile, remember that things may not turn back to normal for as long as ten years. This is why you’re going to have to do two other things: 1. 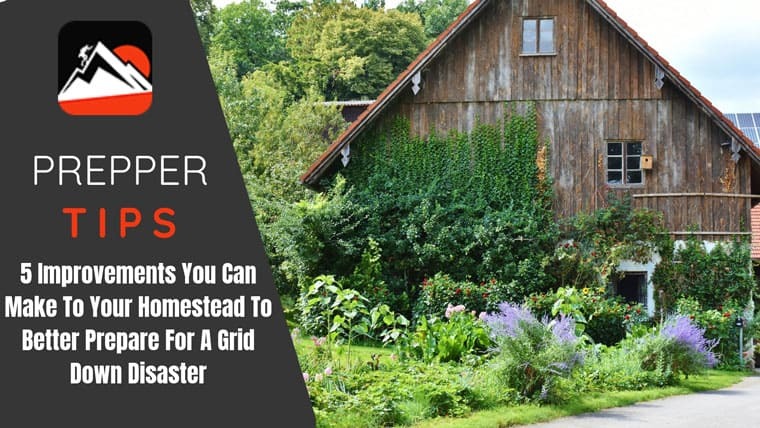 Create a self-sustaining source of food such as a garden, and 2. Learn how to barter with other people. You’re also going to need to work with your neighbors to forge alliances, exchange resources, and keep each other safe from outside threats. Otherwise, as supplies dry up and people turn desperate, your neighbors could easily turn on each other, and you’ll become even more unsafe than you were before. Obviously this is not an in-depth analysis of what you need to do to prepare for an EMP attack, but at the very least it should give you an idea of the steps that you would need to take to prepare for one. The purpose of this article has been to educate you on what an EMP attack would look like, why it would happen, and what it would cost the United States. If you take anything else away from this, it’s that if you haven’t started preparing yet, you need to. Sam Bocetta is a former naval defense analyst and current freelance journalist specializing in writing about disaster preparedness, self-defense, firearms, tech, cryptography, and cybercrime.